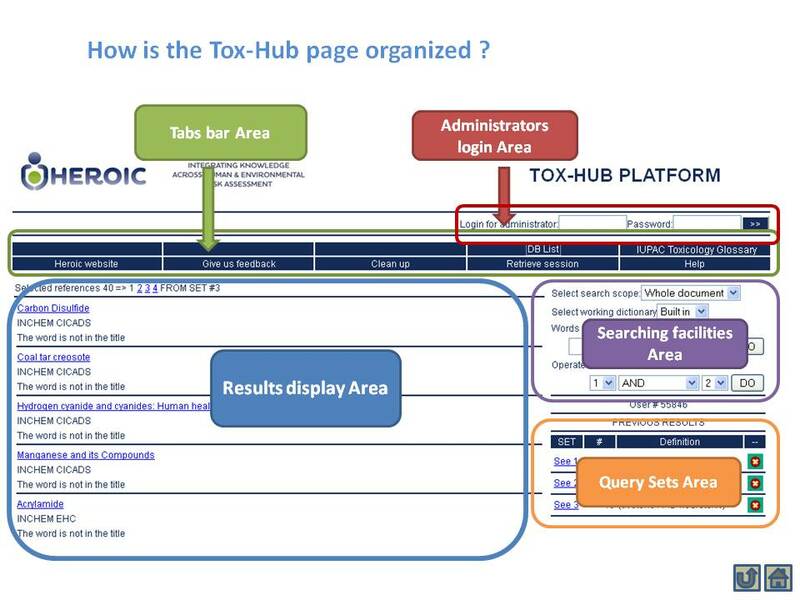 How is the Tox-Hub page organized? Select dictionary: drop down menu allowing chosing the word dictionary (‘Internal built-in’ or ‘IUPAC’). Words of the dictionary: allows to insert a word for searching. On writing a sting a drop down menu appears showing the available words in the dictionary containing it. Once the word is selected the query is performed by clicking the ‘GO‘ button. Query sets generated either by direct search or by application of logical operations are listed sequentially. the word or logical operation used to generate the query.